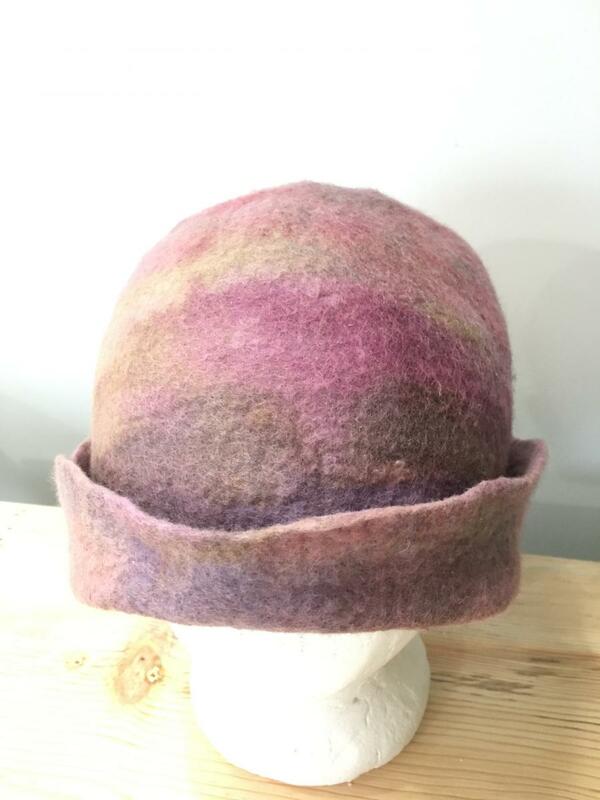 These 100% wool hats are one of a kind and completely unique. They take on their own character during the felting process, and become a piece of wearable art. I am not able to replicate any of my pieces exactly, and each style and color can have variations. Hat measurements are taken on the inside circumference. The sizes are approximate, as there is a bit of give in either direction. If you see a hat that you want, but it's not the right size, please contact me to start the custom order process. I also welcome custom orders and require a non-refundable $20 deposit, per hat. Due to the time required to do custom orders, I do not accept returns on them. I do want to make sure every customer is happy, so communication is imperative when placing custom orders. Return Policy: I must be contacted within 24 hrs of you receiving your product (excluding custom orders), in order to arrange for a return. Any and all shipping and handling costs are buyers responsibility.